The following are terms of conditions between you and Intomillion. By accessing, browsing and/or using this web site and service, you acknowledge that you have read, understood, and agree, to be bound by these terms. If you do not agree to these terms, do not use this web site and services. Information may be changed or updated at any time without notice. All trades are made on real account with a 1:500 leverage. Aggressive trading style, deep drawdown and high risks may apply. Up to the complete loss of all funds. Trading conditions, as quotes, spreads and swaps are provided by Instaforex may differ upon a Forex broker. Trading may not take place everyday. Minimum amount of open trades per month – 7. Maximum amount not announced. Averages and extra buys/sells may be used in the Trading strategy. T/P and S/L levels of open/pending trades may be changed manually at any moment. Any open/pending trade may be closed manually at any moment, no matter of T/P and S/L levels. Period of open trade may vary between few minute to a few months. Every subscriber, who copy trades, customize own Risk management strategy for open/pending trades. Rebates Service is not included in copy system. You are informed that Past Performance is no guarantee of future results. All payments and donations to Intomillion are non refundable. 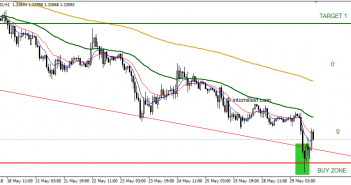 You are aware of trading risks on margin markets, as well as all other risks connected to Forex market trading.